Together with perfect accessibility, all ready to hand. This all requires a well thought out interior organisation. Exemplified here are the particularly high quality and attractive beech-interior fitments, suitable for all drawers and pullouts in the programme available from LEICHT. Trays and dividers made of solid beech ensure a tidy system and a clear overview even in extra-wide drawers and pullouts. 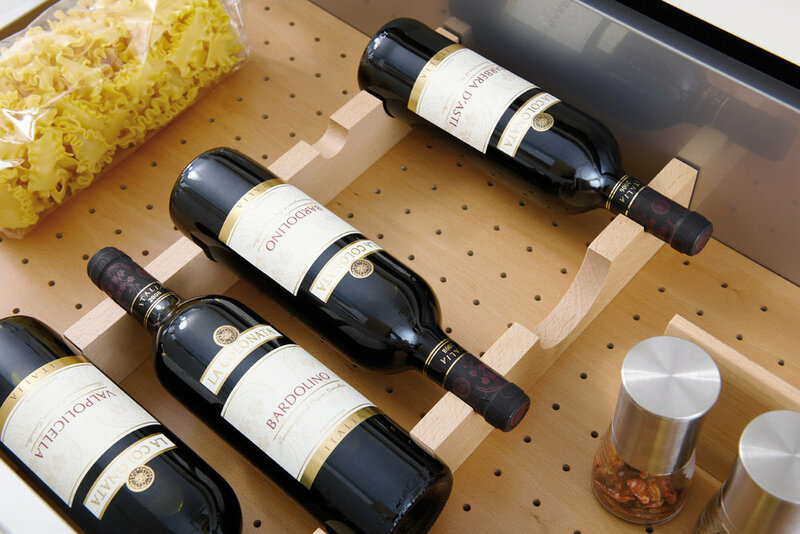 Special functional elements are used for storing cutlery, knives, rolls of foil, spice jars, plates, bottles and bread and ensure they are still to hand whenever you need them. Available in different combinations in two depths for unit widths of 30 to 120 cm.